Be among the first to own the ultimate multitasking device by pre-ordering now until September 17. Pre-order your Galaxy Note8 from now until September 17, 2017 at the nearest Smart Store, or online at store.smart.com.ph/view/1997 to be among the first to get their hands on the device when they hit the Philippines on September 29. As a big treat, subscribers with approved Smart Postpaid Plan applications for Galaxy Note8 from now until September 17 will get an AKG Travel Speaker and enjoy one month access to iflix, which offers thousands of TV shows, movies, and more. 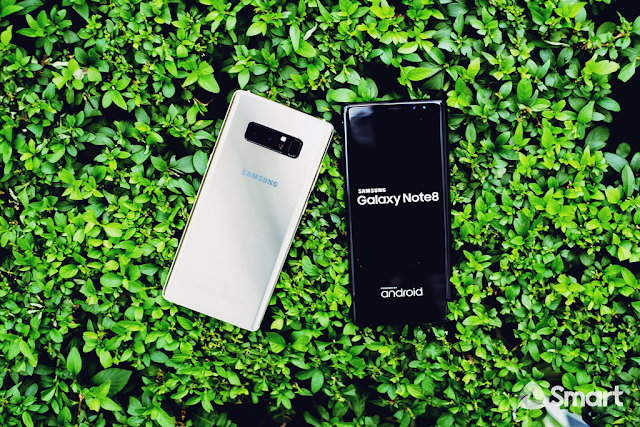 Touted as the ultimate multitasking device for people who want to do bigger things, Galaxy Note 8’s best-in-class features is optimized by Smart’s newest and fastest LTE network, which allows subscribers to enjoy bandwidth-heavy activities on the go. Powered by Smart LTE, Galaxy Note8 users can accomplish more tasks faster, such as sending emails and uploading work files, enjoying immersive mobile entertainment through seamless streaming, and sharing every captured moment as it happens to friends and loved ones. Galaxy Note8 features an enhanced S Pen with new exciting ways to write, draw, and interact with the phone and communicate with friends. The much anticipated device also features Samsung’s best-ever dual-lens smartphone camera to capture stunning photos, and a larger 6.3-inch Quad HD+ Super AMOLED Infinity Display that offers the ultimate multitasking experience. Available in Midnight Black and Maple Gold, Galaxy Note8 also comes with 6GB RAM and 10nm processor, and an expandable memory up to 256GB. It is water and dust resistant (IP68) and features fast wireless charging, as well as iris and fingerprint authentication options for greater security. Be among the first to own Galaxy Note8 powered by Smart’s newest and fastest LTE by pre-ordering now at the nearest Smart Store, or online at store.smart.com.ph/view/1997.